Click and hear the audio pronunciation multiple times and learn how to pronounce the name Vade. If you feel the pronunciation should be better then record pronunciation in your own voice. Like above, 30+ Fancy text styles available for name "Vade" in our Fancy Text Generator. Go and check out all the styles for more fun! NOTE: 10+ Audio Pronunciations Available for the Name Vade in our Brand New Website PronounceLook.com. 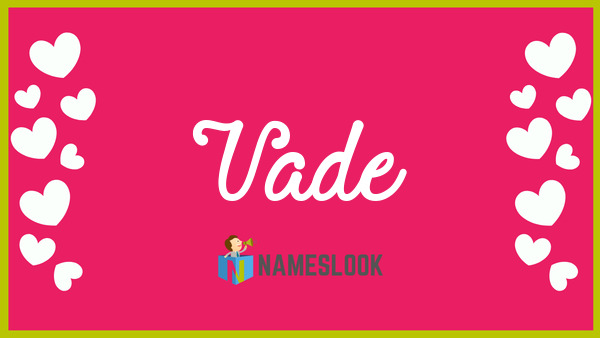 Learn how to pronounce Vade correctly.